The mallard in the video, I mean. There I was, strolling back and forth in the parking lot of the Kowloon Restaurant in Eugene, when this duck waddled up to me from the pond below. He was looking for a handout, I assume. Maybe sometimes people come out of the restaurant and bring snacks for the local waterfowl. But I had nothing the give this duck. I had left my bread crumbs at home. With what I took to be a disappointed look, Mr. Mallard waddled off again, quacking once or twice in kind of a dejected way. What was I doing in the parking lot, walking back and forth? I was there to give a talk to a group meeting at the restaurant for lunch but had arrived way too early. So I walked around a bit, and was enjoying the sunshine and the flowering trees. 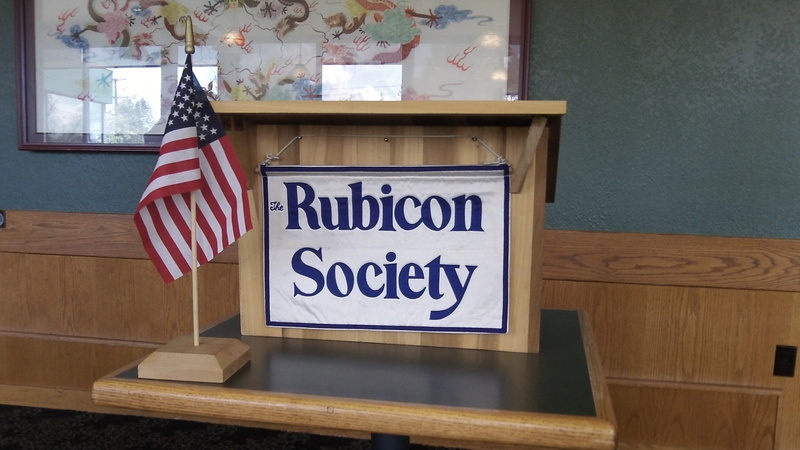 I had spoken to this group, the Rubicon Society in Eugene, a couple of times before in recent years. Inexplicably, they asked me back. These people are well informed and keep abreast of Oregon public affairs. It’s always fun to chat with them about what goes on in Salem and around the state.